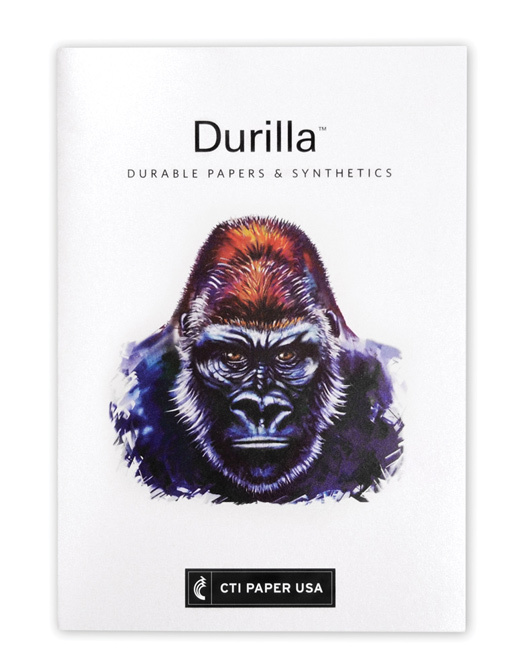 Strength and wide-ranging choice are at your fingertips with Durilla™, a striking new collection of durable papers and synthetics for digital and offset printing. Choose from FSC® certified coated, uncoated, translucent and waterproof papers - all in a “paper-film-paper” construction - that deliver extraordinary print fidelity and convert with ease. 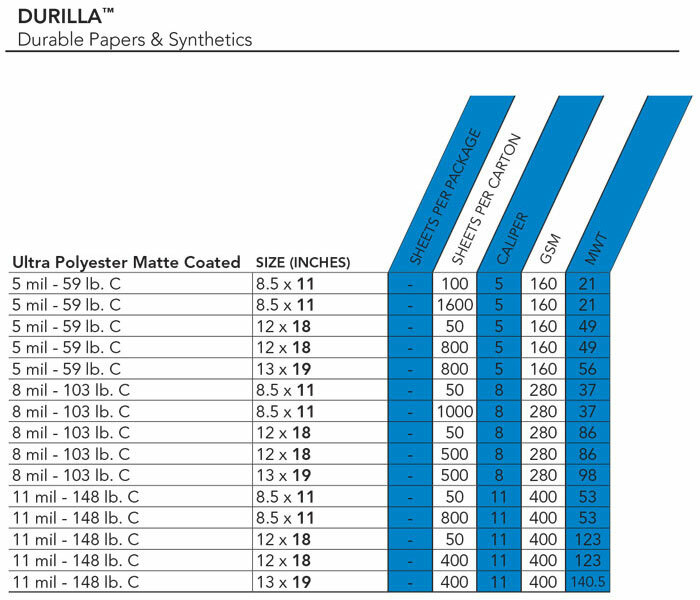 For applications requiring the ultimate in durability, Durilla’s bright-white, matte-coated polyester yields excellent color saturation and high-resolution print. 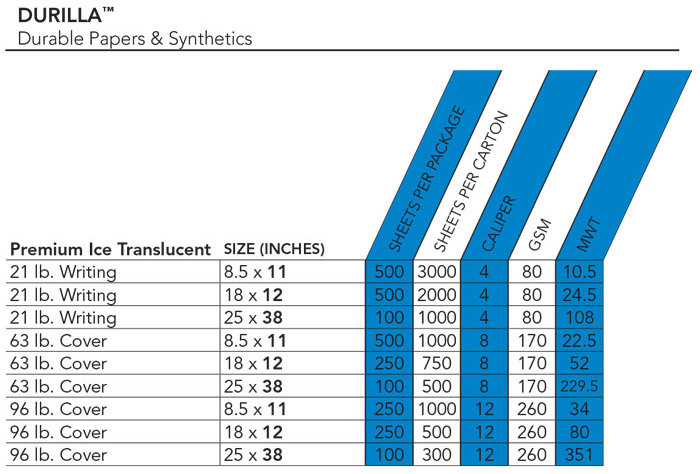 Available in a variety of sizes and thicknesses and optimized for superior performance on offset, flexo, and production-rated toner presses. 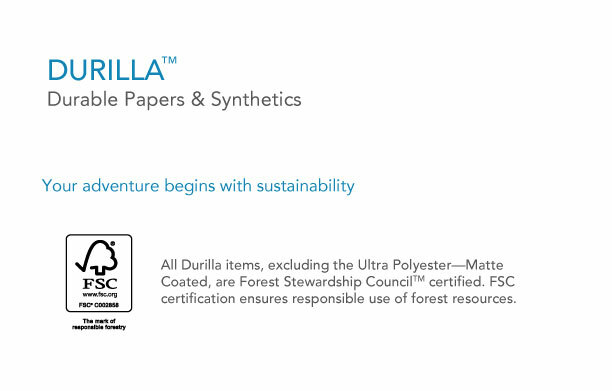 To create and protect, choose Durilla™.